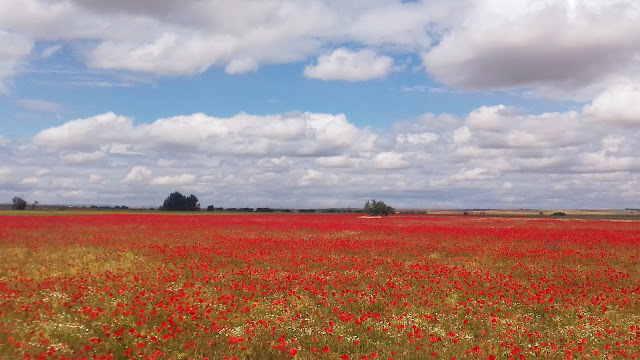 Esta primavera tardía nos deja bellas imágenes como estos campos de amapolas en Tierra de Campos. Tu foto esta Bella. Estar en un lugar asi debe traer paz en el momento. What a great photo. Love poppies. Fabulous color! Such a happy photo. Wow! This is stunning.....wonderful to be there in person! Wow, love the angle of this photo. Beautiful landscape and sky. Thanks for sharing at Pictorial Tuesday.